Sum-sum, sum-sum sum-sum summetime! It’s baseball, hot dogs, apple pie and…a bananiano?! Well, its UC San Diego’s Department of Computer Science and Engineering, so you shouldn’t expect anything near ordinary! 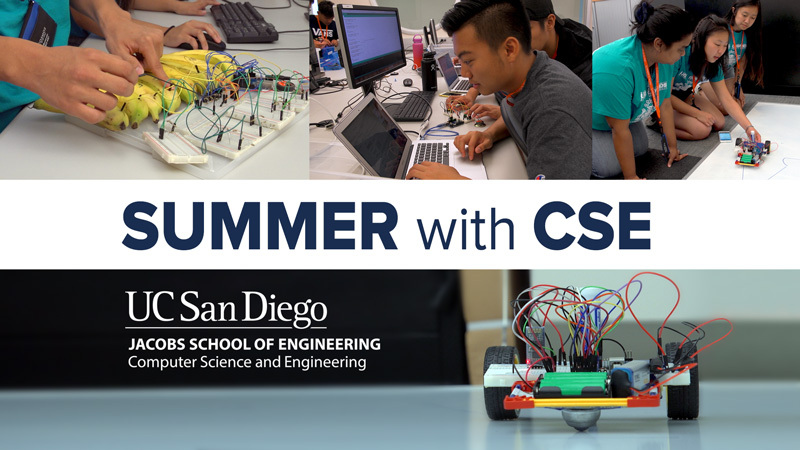 That’s Summer with UC San Diego CSE. From High School teachers going to summer school classes to learn coding, to hyperdimensional computing to building robots and a bananiano – all while teaming up with our friends across the border check out the new series Summer With CSE on The Computer Science Channel.